Limited edition signed and numbered giclee on canvas by William Phillips. 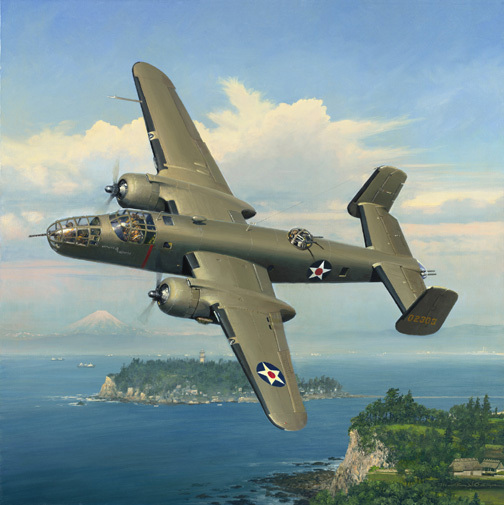 Each piece is signed by authentic American heroes from the Doolittle Raid. Limited edition signed and numbered lithograph on paper. In addition to Phillip's signature,this great collector's piece was also signed by American heroes who participated in the famous Doolittle Raid on Japan, on April 18th, 1942.